If you are in Australia text your name and best days to Jane so she can get back to you with a suitable time and date. Phoning Jane is not the best idea as she will likely be unable to take your call on the spot, but she is normally able to respond within a couple of hours. Jane will offer spiritual insights, including auric analysis, combined with future predictions. 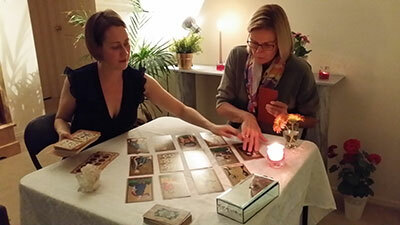 Using her unique psychic/intuitive powers, Jane will combine a 200 year old traditional deck of fortune telling cards together with medieval tarot. Please have your detailed questions ready for the reading. Please state your city and country when emailing or texting Jane. Please tell Jane on your message when your best days and times are generally.